This Peterson Real Fyre Pilot Kit is designed for use with Peterson Real Fyre Natural Gas Vented gas log sets. This pilot kit can be added to a natural gas match lit log set to add basic on/off control. It can also be used in place of a manual safety pilot kit. Includes basic on/off remote. To be used with 12 - 30 inch standard G4 and G45 burners, 12 - 16 inch see-thru G4 burners, or 18 inch see-thru G45 burners. 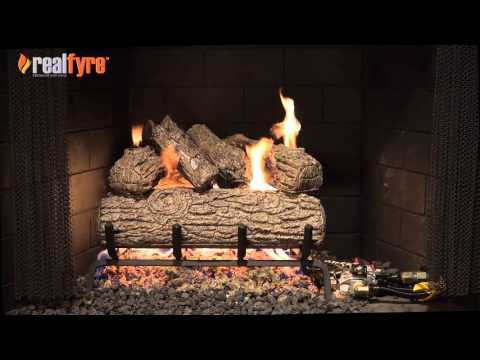 NOTE - before purchasing a pilot kit to add to your existing log set you must ensure that you have adequate space in your fireplace, per the manufacturers guidelines. Buy This,you'll be glad you did! The price is a little high but when you get home from work on a snowy winter night and you've settled down into your favorite chair with the paper....you'll be so glad that all you have to do is press a button on the remote to enjoy a warm relaxing fire! Then, with another press of the remote..the fire will go out! You've already made the decision to get gas logs, now add this product and enjoy the whole package!